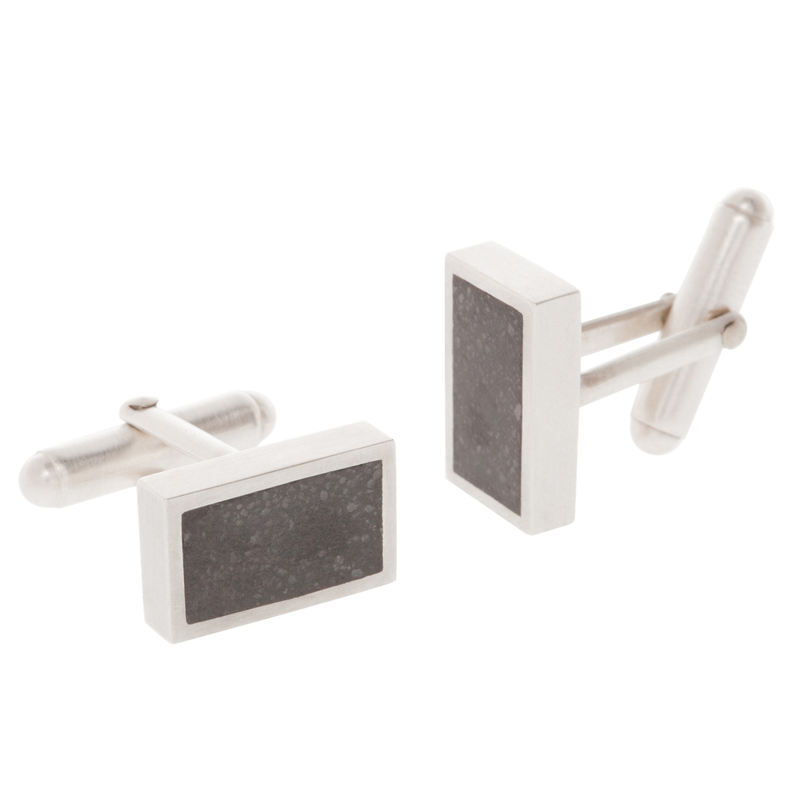 Simultaneously classic and contemporary, these cufflinks measure 17mm by 10mm with a height of 3.6mm. Handcrafted in concrete and silver reclaimed from circuit boards. If out of stock these cufflinks are made to order so please allow up to ten working days for manufacturing. Notify me when Concrete Cufflinks is available.